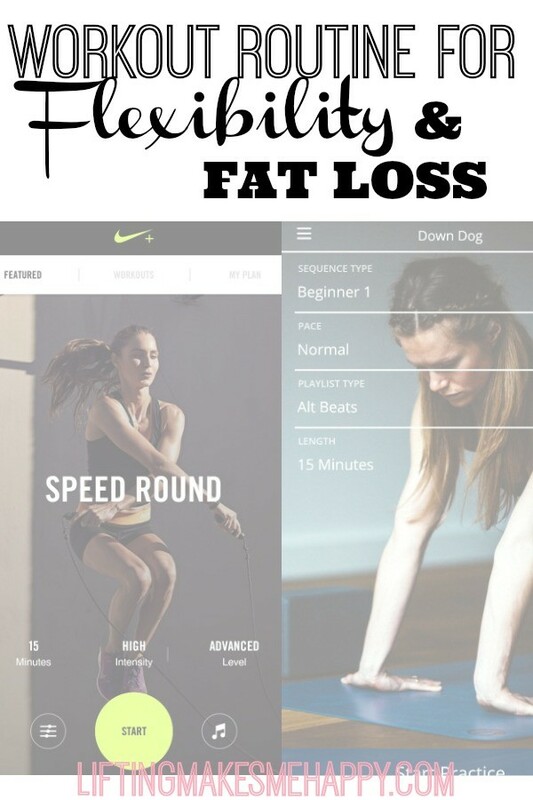 Today I’m sharing my workout routine for flexibility and fat loss because there are two areas I’m really wanting to focus on right now. Lexapro has been amazing for my mind but when it comes to my body..not so much. You can read about my connection between Lexapro and weight gain here. It’s the only ongoing unpleasant side effect that I’ve experienced on this medication but it’s killer. My ultimate goal is to just be able to fit into my normal clothes again. Some of them have been feeling pretty tight, making me feel like a blob. I plan on incorporating yoga on a daily basis mixed in with some HIIT workouts and circuit workouts sprinkled in throughout the week to get a handle on this! The idea of doing yoga used to bore me. I wondered how people could workout like that and feel like they did anything. I know better now… and getting older has also made me realize how amazing yoga really is. 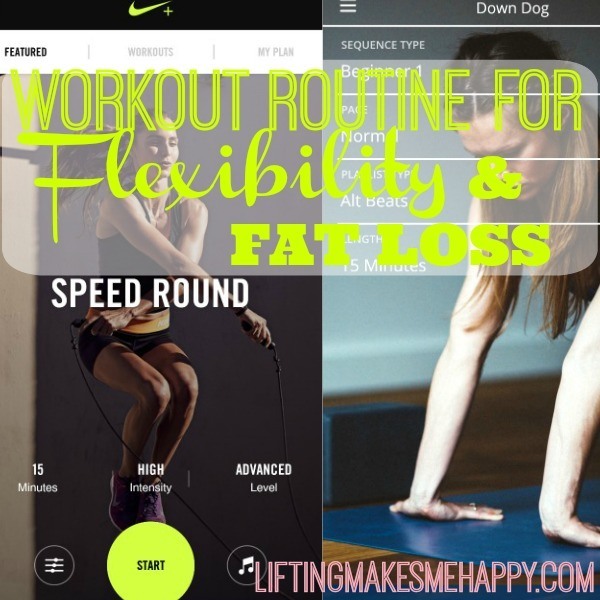 I plan to use two popular, highly rated fitness apps to help me stay focused: Nike Training Club and Down Dog Yoga. Both are available for FREE on iPhone and Android. I also plan on doing treadmill HIIT workouts because those have helped me blast fat in the past. In my personal fitness journey, HIIT has always been my go-to. Until I fall off and it turns into a has-been. Whoopsie! Monday. Rest. We had a lot of things going on yesterday so I just decided to take a rest day on Monday this week. Sunday. Active rest. This day is reserved for household cleaning, shopping and yard work. Thanks so much for the workout mindi, as a beginner do you think it would be wise to add in another rest day? Hi Hannah! You can definitely add in another rest day! I usually have anywhere from 1-3 per week. Just depends how I’m feeling and what kind of mood I’m in, haha.